Watch out — transparent dinosaurs are on the prowl! Like modern-day chameleons, these ancient reptiles take on the colors of their background. 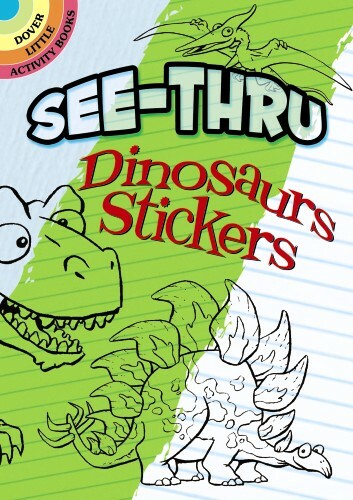 Ten see-through stickers of the most popular dinosaurs include playful images of a triceratops and the original lizard king, T. rex.